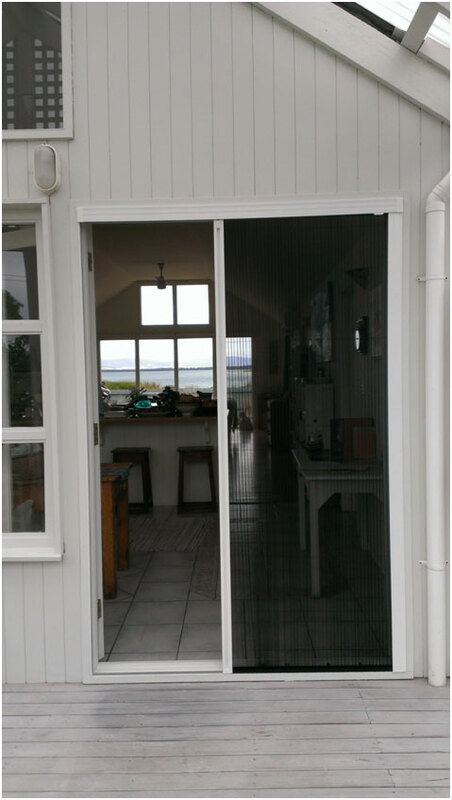 Pleated Retractable insect screen fitted to a set of timber French doors . 2100mm h x 1550mm wide. The reinforced pleated mesh, combined with special mesh retention clips and sill – tracking guide keeps the mesh in position . Ideal for multi stacking, sliding , French and bifolding door and window systems. Screens are supplied with black insect mesh and come in a range of popular powder coat and anodised finishes.